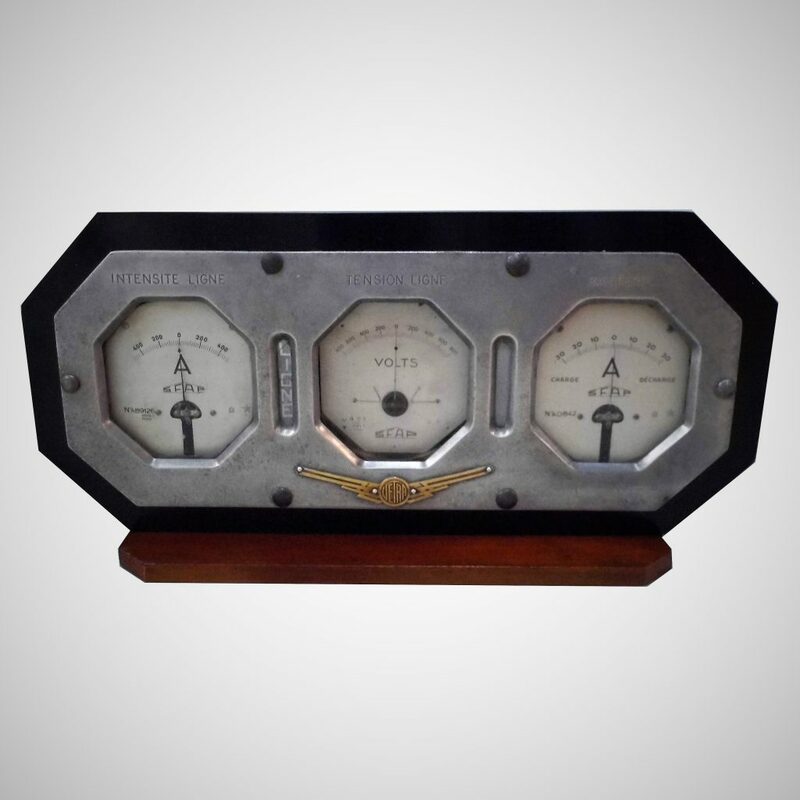 A stunning Art Deco Dashboard made of cast aluminium by Vetra circa 1940 with later mounting . 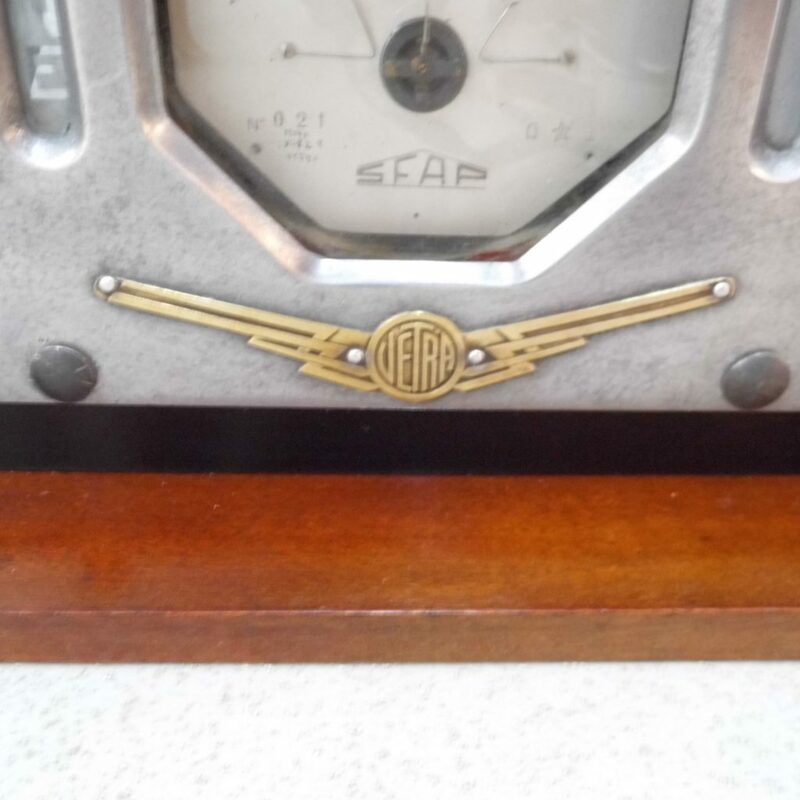 This dashboard originated in a Vetra “Trolleybus” or electrified tram which were used in Paris from 1925 to 1962 . This example has fabulous Art Deco styling and dates to around 1940 . It has been mounted in a sympathetically styled mounting.